Build Your Brand With Custom Printed Boxes & Packaging. Choose one of our available product styles. Sturdy. Reusable. Easy to use. The Mailer has it all. As our most popular box, it is perfect for subscription boxes and eCommerce Packages. It is the perfect package to display your product. The aptly named Shipping box is our go-to, no frills way to get your product where it needs to go. The traditional shipping box is reliable and can fit any product. Use custom artwork to give this dependable box a colorful twist. This lightweight box is perfect for product presentation and giving customers an unforgettable unboxing experience. It also takes advantage of what we call a 1-2-3 bottom for quick and easy set up. Choose one of our box styles and select your material. You can pick from our preset sizes or enter your custom dimensions for a perfect fit! This is where things get fun! Add a logo, pictures, colors or a design you’ve created yourself to make a box that is unique to you. Checkout is easy! With no minimum order quantity and instant pricing, you can get exactly what you need! Here are a few of the time and money saving benefits of ordering your custom boxes online with us. Using our online designer you can create your custom box and get instant pricing on any quantity. Speed to market is crucial for brands both large and small. Spend less time emailing customer service, designers, estimators etc. With the online editor, just Design it, Approve it, and Get it! We double-check each and every custom box order to make sure everything we ship out is top-notch in quality and accuracy. Our goal is to make sure you love every order! 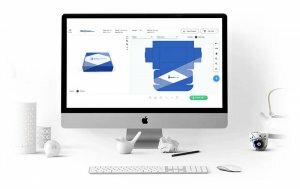 Our state-of-the-art digital printer and cutting table produce your custom branded boxes without costly print plates and dies, saving you money and reducing time to market! With Buyboxes.com you have access to services typically reserved for high volume orders. Just because you don’t see the exact style of box you want on our website, doesn’t mean we can’t make it. With our team of engineers and graphic designers no idea is unattainable. All you need to do is give us a call! 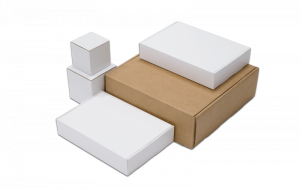 When just a box is not enough, we offer custom foam and corrugated inserts. These are perfect for protection and product presentation. The perfect option for eCommerce businesses. Good business is all about streamlining. We make your boxes, pack your product, and get it where it needs to go! The first of March is Employee Appreciation Day, and companies all over the US will celebrate what makes it all possible: their employees. A great staff is the driving force behind the success of any business – and this day brings a great opportunity to express to your team just how important they are. Your brand is your business. You need to curate a brand image that tells people who you are and what your business is all about. Part of branding yourself successfully is creating designs that are eye-catching, interesting, and recognizable. A welcome kit can display your company’s values, beliefs, and mission, as well as provide the tools or accessories a new hire needs in order to be successful in their job.